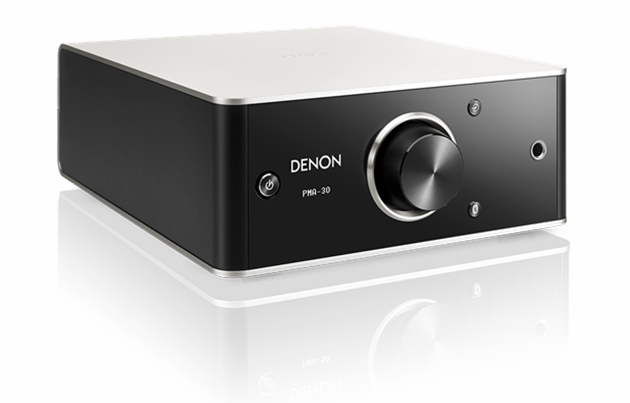 Denon’s PMA30 and DCD50 are exciting new offerings from one of the oldest names in the audio business. It’s a stand out offering in the current hi-fi world; a pair of half-width separates in a world of full-size separates and mini systems. However, just because they are half the width, doesn’t mean they have half the ability! 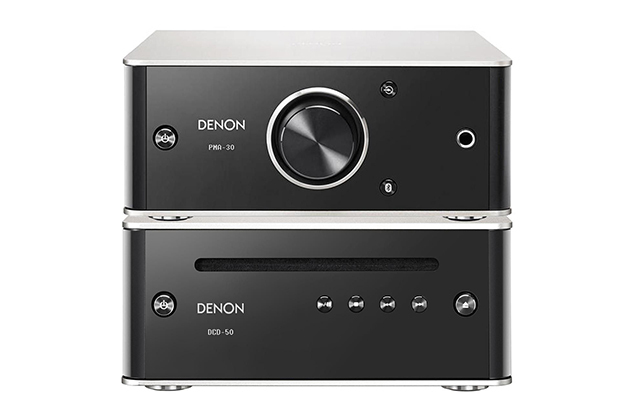 Denon has clearly thought about the lifestyle that many graduates and young professionals lead these days, and as such have combined some carefully selected inputs combined with really fantastic design touches to maximise the appeal to this user base. Let’s start with the PMA30. It is based around a Class D amplifier capable of 2 x 25w into an 8 Ohm load and nearly doubling to 40w into a 4 Ohm load. Not mind-blowing power, however when paired with a good quality efficient speaker, this is more than enough to fill most rooms with powerful sound. The PMA30 is equipped with a digital coax and a pair of optical inputs for easy connection to digital sources such as TVs, Sky and Virgin boxes and computers. These inputs also support High Resolution music up to 24bit/192kHz. It has an RCA analogue input allowing for the connection of analogue gear and for vinyl enthusiasts to connect a turntable, though this will require an inbuilt or external phono stage. It is also equipped with Bluetooth with NFC allowing easy connection of your portable devices and supports the aptX codec, giving you the best possible connection with amazing sound quality. For audio outputs it has a pair of binding posts for your speakers, and a single RCA output to drive an active subwoofer, whilst on the front is a 6.3mm jack socket. This headphone socket is driven by a high quality headphone amplifier which has an adjustable gain, allowing it to drive both low and high impedance headphones without breaking a sweat. When a digital source is selected, the PMA30 takes advantage of its amplifier modules ability to access a digital signal, processing the signal completely in the digital domain. As such, it can eliminate the influence of external noise, give a broad soundstage with plenty of resolution and transparency, and minimise jitter by the use of an advanced master clock. The DCD50 features a high quality Burr Brown digital-to-analog converter, is compatible with both CDRs and CDRWs and can play back MP3 and WMA files. It has an elegant slot load drive and features both analogue RCA and digital coaxial outputs. 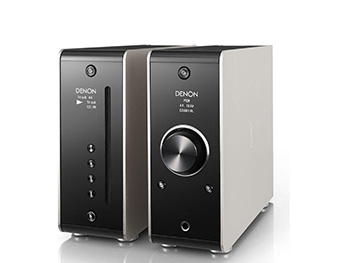 The fit and finish of both of these components, as you would expect from Denon, is fantastic with a clean, modern design. Both units feature low noise OLED displays, which are easy to read and dimmable so they don’t distract during playback, whilst producing as little noise as possible to maintain sound quality. The great thing about PMA30 and DCD50 is, that when placed next to each other they are the same width as a full width hi-fi component. However, both units can be placed vertically, covering multiple position possibilities. After playing around with a couple of different speakers, I settled on our demo pair of Q Acoustics 3020s in the lovely walnut finish. These proved to be a great match for the Denon combination, complementing their talents very well. The Denon combination sounds wonderfully clean and surprisingly expansive, the pair really have a good rummage around into all the nooks and crannies of the music, trying to find those layers in the production. The soundstage produced from all this rummaging is wide, with good placement of the instruments where they should. Both the PMA30 and DCD50 can be positioned vertically or horizontally. The bass produced is surprisingly deep, yet it remains tight and informative. Not earth shattering, but adding an active subwoofer would solve this if you’re really looking to rattle the windows. The timing of music still comes through and you never feel that it has been forgotten in the pursuit of detail reproduction. 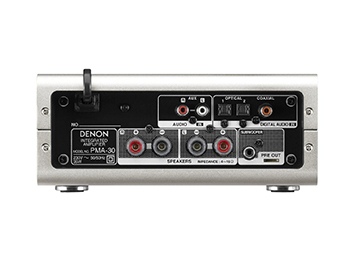 The Denon is comfortable across a multitude of genres of music. I have been listening to Buddy Guy, Norah Jones , Fatboy Slim and Pavarotti, and it never felt out of its depth. 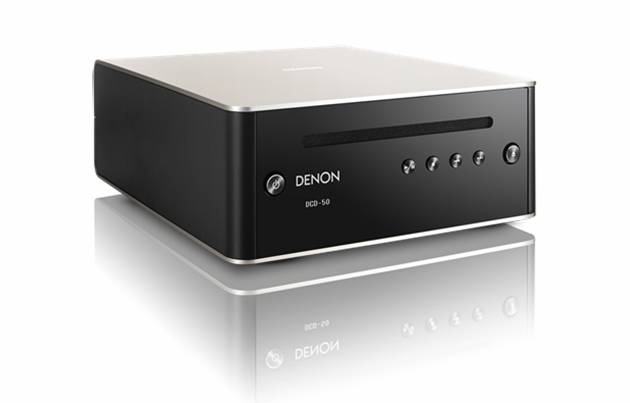 Overall, I think Denon has made an excellent little system here – it sounds better than mini systems without taking up too much extra space, has excellent compatibility with a wide range of sources, is very practical for different living situations and is a great introduction to a separates hi-fi system. So why not pop down to your local Richer Sounds and hear this great sounding hi-fi separates system for yourself ? Click here to learn more about the PMA30 and DCD50.